Fall is my favorite season for many reasons: the crisp air, pumpkin spice everything, Halloween—I could go on and on. I found this wrapped scarf-poncho hybrid at H&M a few days ago, and I’ve been dying to wear it—yet San Francisco is going through an insane heat wave. Why is it almost October and 95 degrees outside? Fortunately, things cooled down today and I had a chance to wear it—and it’s so cozy! I love the blanket wrap scarves because they are perfect alternatives to wearing a coat, and I am particularly fond of this plaid color scheme. 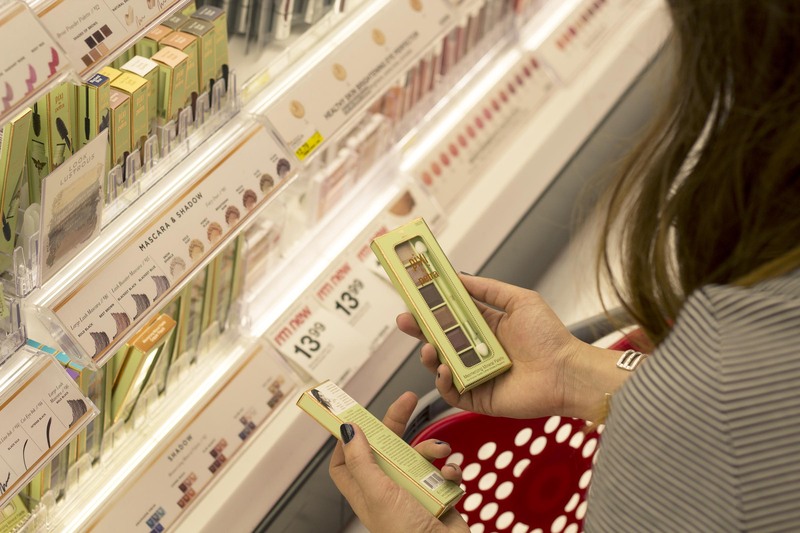 I wanted a makeup look to complement my first fall look of the season, so I enlisted the help of my local Target Beauty Concierge when I was browsing for something new to try in-store. I was looking for a new shadow to try, and she helped me find this Pixi shadow palette to create a warm, cranberry look. It’s nice to have some help with picking out drugstore products because I’m not the person to open up products to test them out when you’re not supposed to. Thanks for your help, Monica! Love the palette! Love that wrap! It looks so comfy too! That scarf looks great on you. I love this look! That poncho is adorable and such stunning photos! Ee are starting to get some cooler weather over here in Ontario! Its about time. This wrap looks so comfy and cute! Love the style you created with it! !